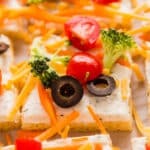 Crescent Roll Veggie Pizza is a classic appetizer that is a fresh and delicious mainstay at any party! And best of all, it’s super easy to throw together! So I recently had a thought. If you haven’t been to a party with crescent roll pizza then was it even a party? I didn’t think so. 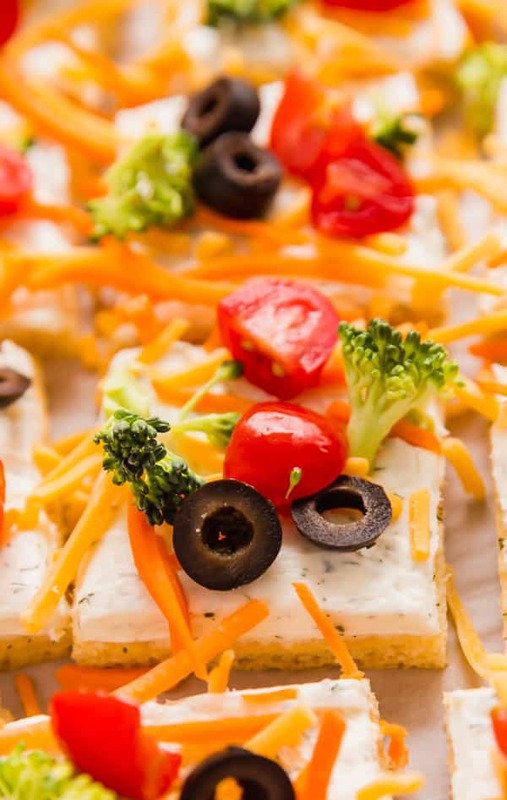 I feel like this fresh and tasty appetizer, also called cold veggie pizza, is a mainstay dish-to-pass at any party or get-together. And why not? 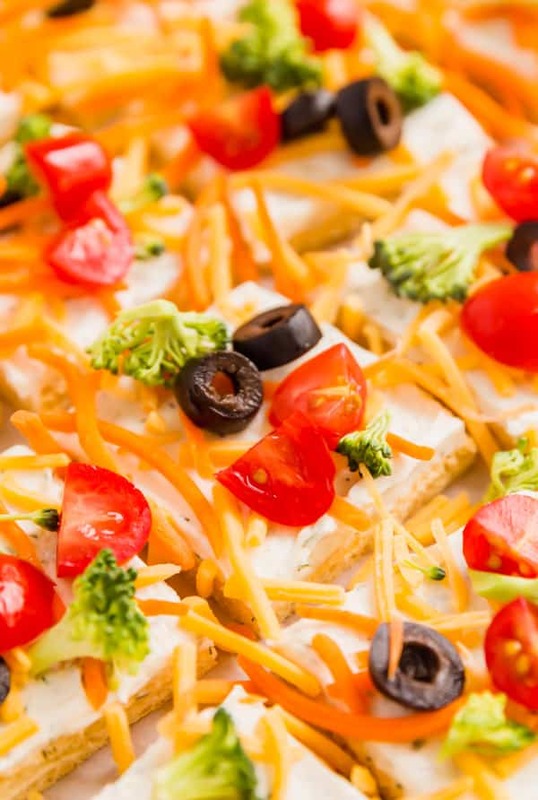 This crescent roll veggie pizza is seriously quick and easy to make. 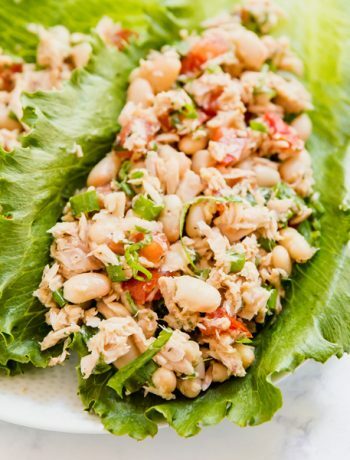 It brings a real nice freshness next to all the typically heavier party/game day fare you typically find at the apps and snacks table. 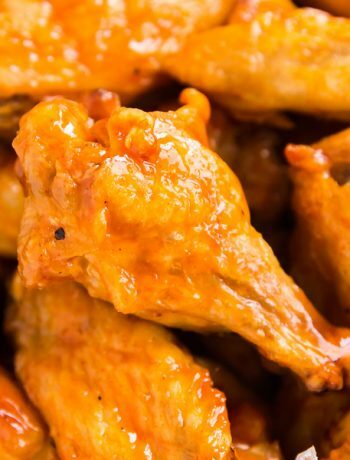 And people are always returning for seconds, so you know it’s going to be a popular option. 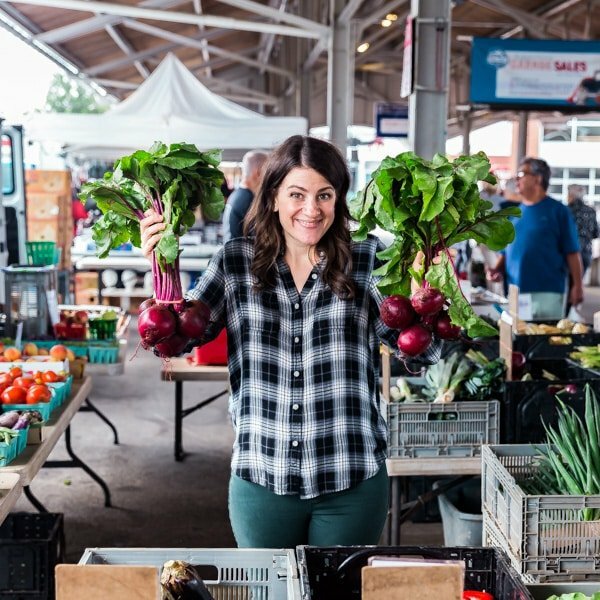 So naturally I had to share our take on this classic recipe so that you can get in on the fun! If it’s available at your store, get the crescent roll sheet. It’ll totally save you the hassle of having to carefully remove and roll all the precut crescent rolls together. If it’s not available, the crescent rolls will totally work as well. Soften the cream cheese mixture to make it easier to combine with the other ingredients. I spread the cream cheese mixture on but cut this into pieces before adding the toppings to make it as easy as possible. If you’re serve a lot of people, cut the pieces smaller to feed more. 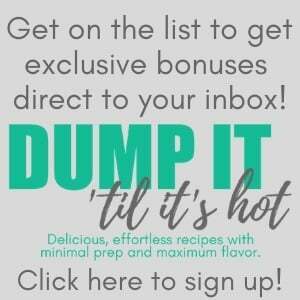 Feel free to mix up the toppings based on your tastes! have fun with this. And make sure to chop the toppings small enough to be manageable for eating, but still big enough that you’re not eating crumbs. 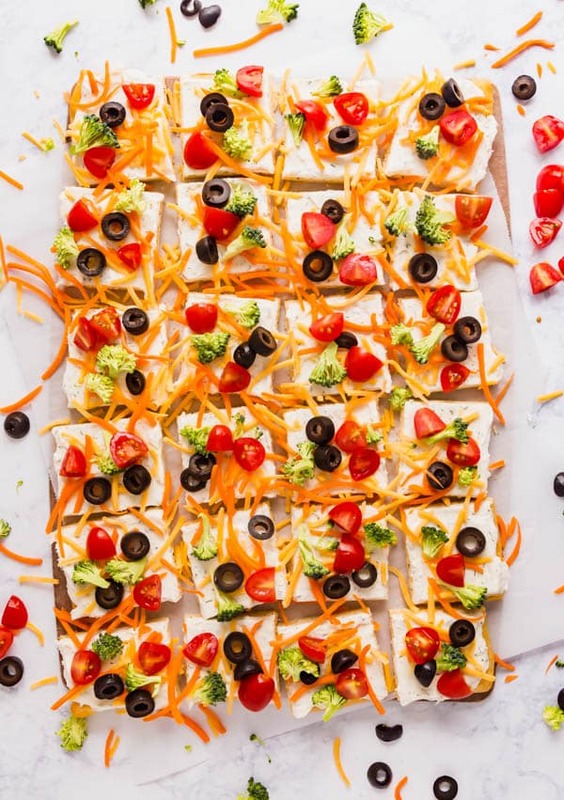 Can you make veggie pizza the night before? 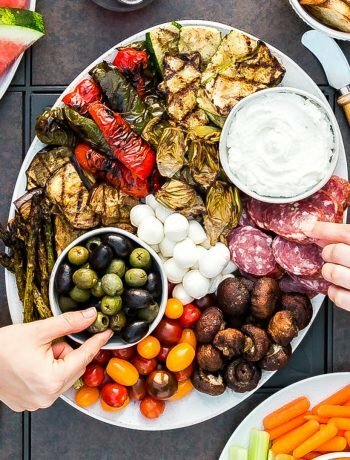 You can totally bake off the dough and make the cream cheese mixture the night before and then assemble, cut and add toppings before serving. What toppings are on a veggie pizza? 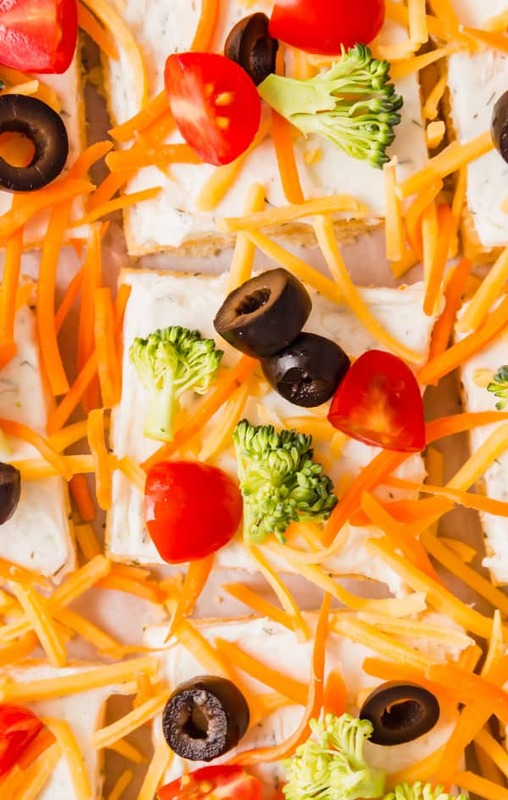 I personally like the combo of the broccoli, grape tomatoes, black olives, shredded carrots and cheddar cheese.Feel free to mix up the toppings based on your tastes! Have fun with this. Do I have to use dill? No, if you have another herb that you like better, you can use that. 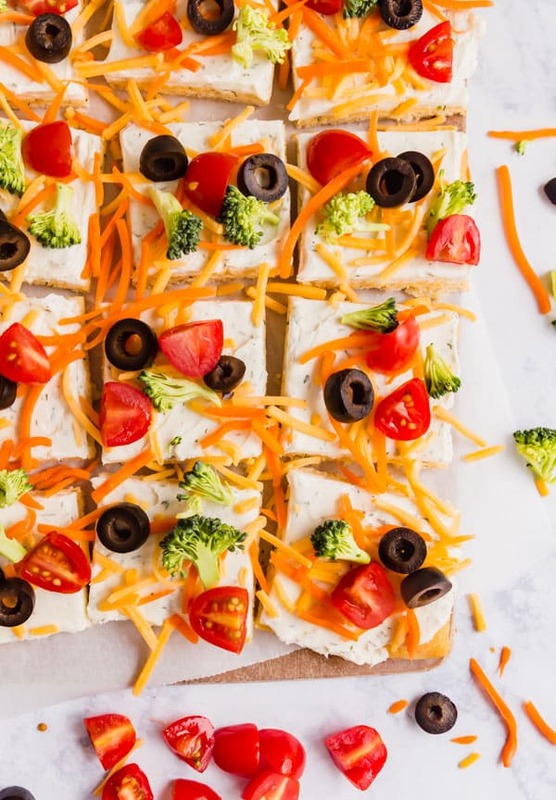 Crescent Roll Veggie Pizza is a classic appetizer that is a fresh and delicious mainstay at any party! And best of all, it's super easy to throw together! Spread crescent roll sheets onto sheet pans and bake as per package directions (if you're using crescent rolls, push them together at the seams to make one crust). Cool completely. Mix cream cheese, mayonnaise, ranch seasoning and dried dill until well combined and smooth. Spread in an even layer over the crusts. Cut into small pieces and garnish with the toppings. Refrigerate until serving. January 19, 2019 at 9:54 am Do you serve cold? Or do you bake it. 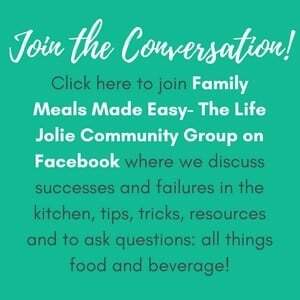 January 20, 2019 at 12:06 am Hi Mimi- you cool it completely after baking and refrigerate until you're ready to serve it once assembled as per the directions. Enjoy!